It’s one thing reading about a turning chain and starting chain and it’s another seeing it done. 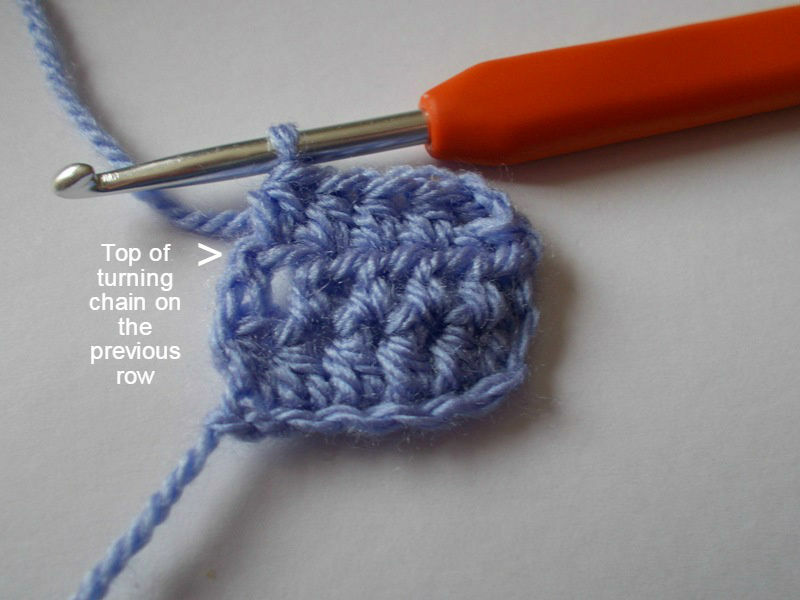 This post will help you see the turning chain in practice on a straight row of half treble crochet stitches. 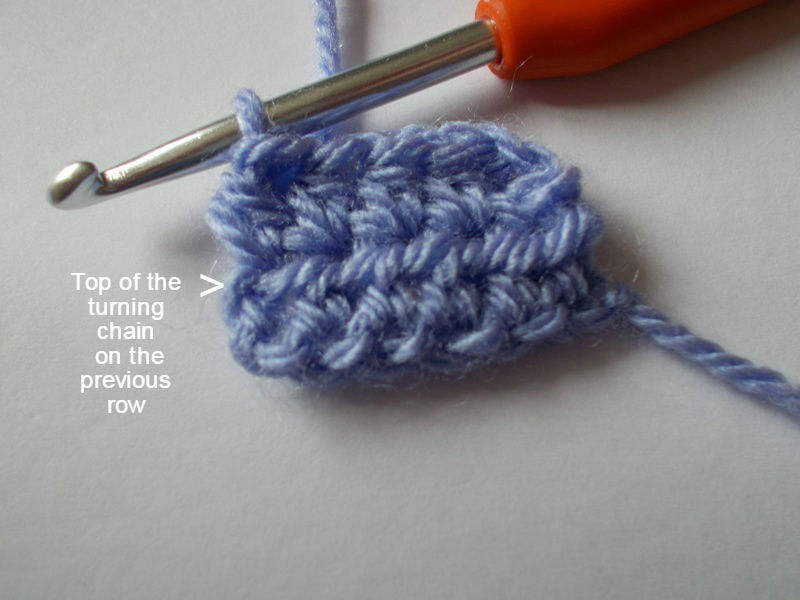 It is the next step on from learning the half treble crochet stitch which can be learnt here. 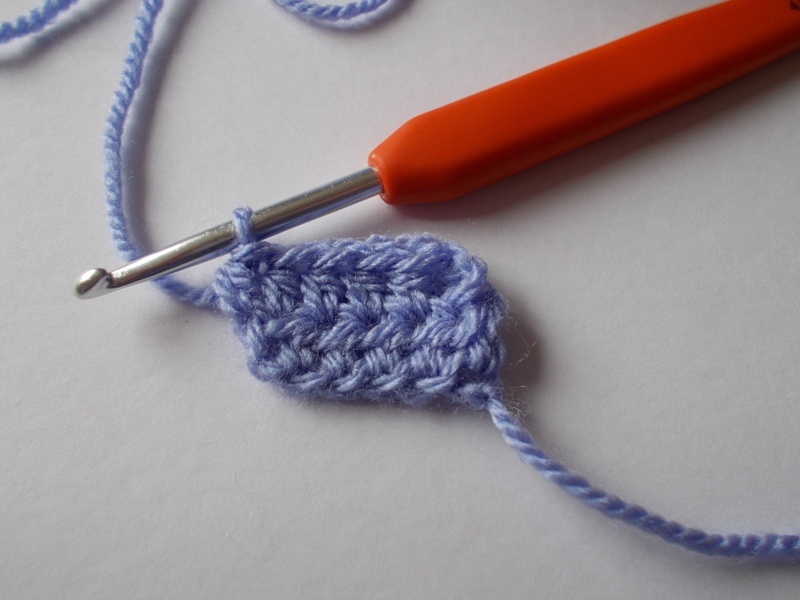 So you’ve finished your first row of half treble crochet stitches and want to do your second row, what next? 2. Chain 2 like in the picture, this is your turning chain. 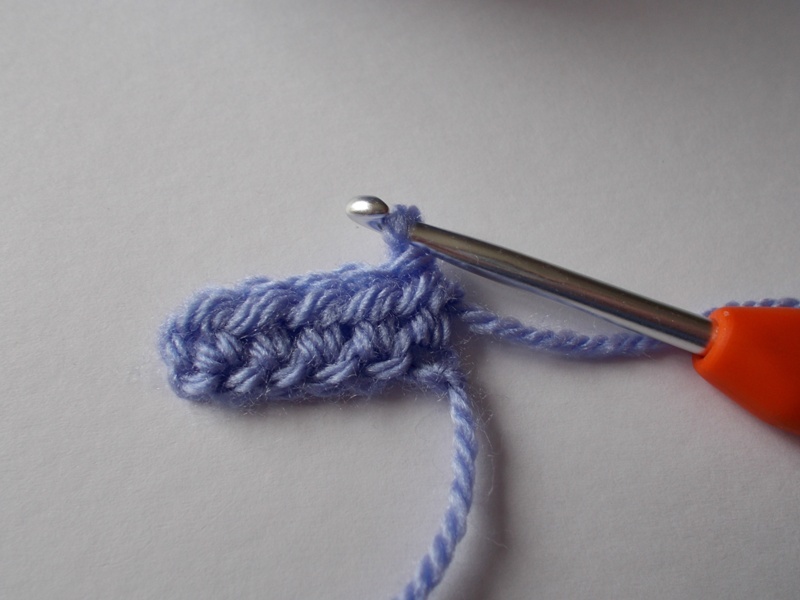 It also counts as your first half treble crochet stitch so you will skip the first stitch (1) of the previous row and you will work your next half treble crochet stitch in the next stitch (2). 3.Your last stitch gets worked into the top chain of the turning chain on the previous row as show in the picture. 4. 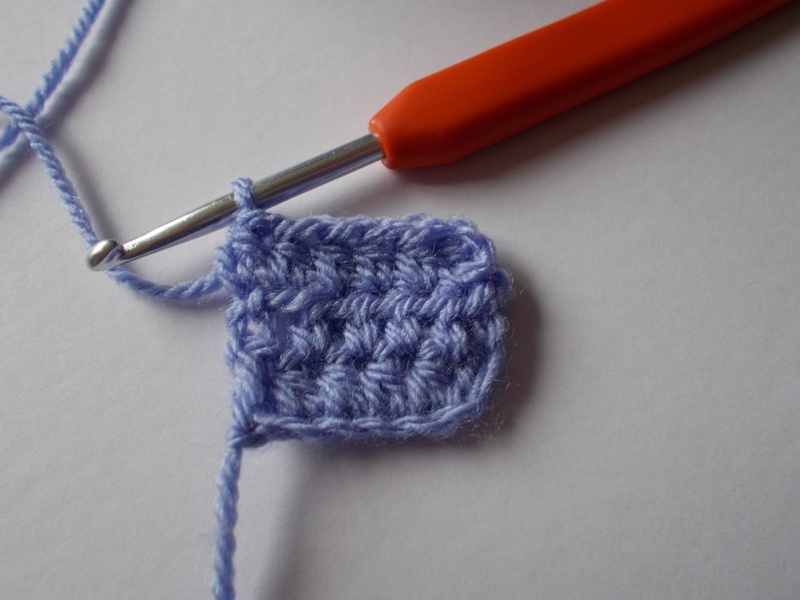 Your second row of half treble crochet stitches looks similar to this. 6. Chain 2 like in the picture, this is your turning chain. 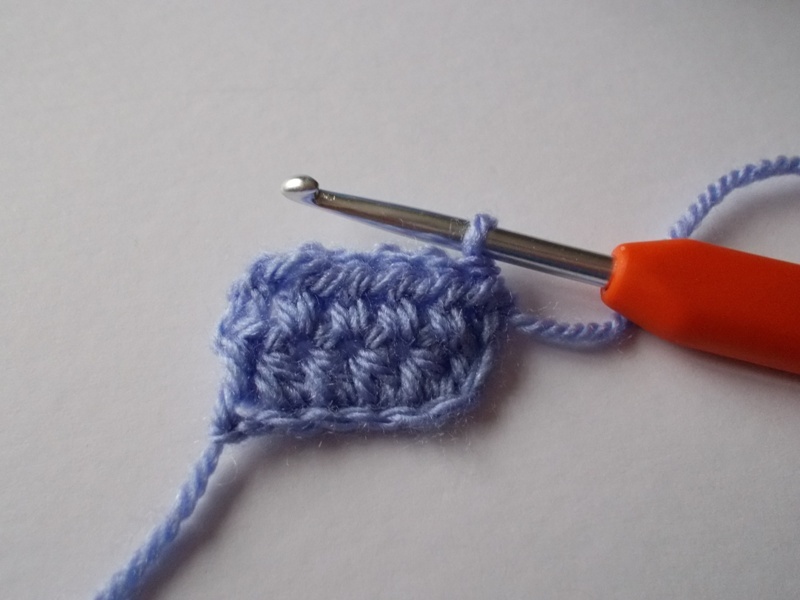 Again it also counts as your first half treble crochet stitch so you will skip the first stitch (1) of the previous row and you will work your next half treble crochet stitch in the next stitch (2). 7. Your last stitch gets worked into the top chain of the turning chain on the previous row as show in the picture. 8. You have now completed another row and your work should look similar to this. 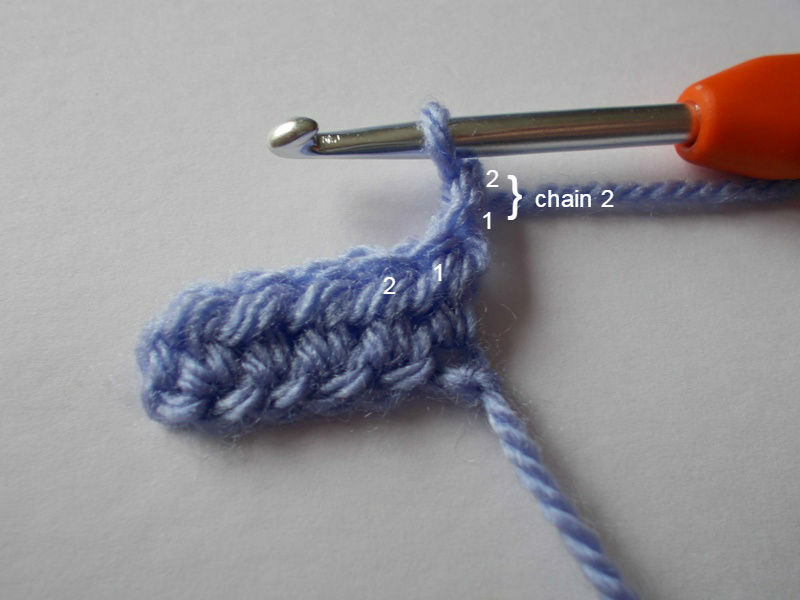 Continue on in this manner until you are confident with the half treble crochet stitch and turning chain for the half treble crochet stitch. 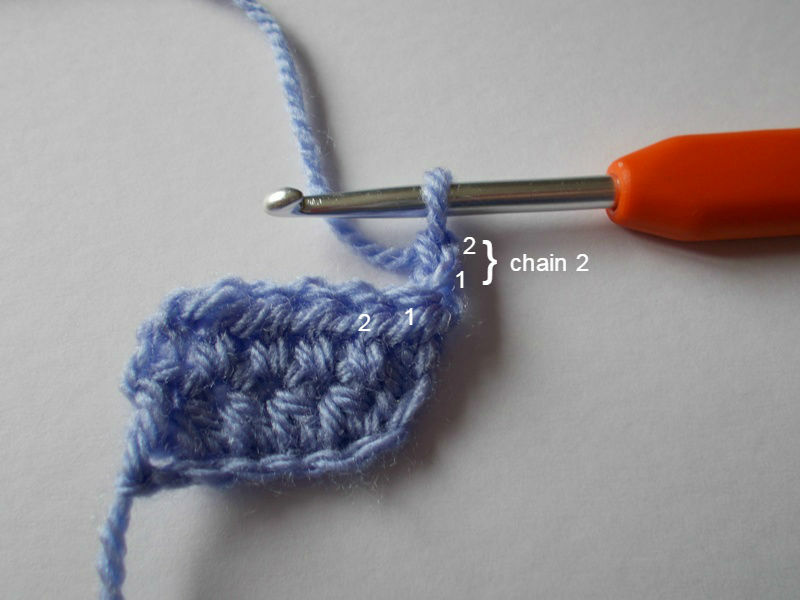 This entry was posted in Crochet, How To and tagged Half Treble Crochet Stitch and turning chains in practice. Bookmark the permalink.